it used to be written in the homophonous characters meaning "Rooster Cage" named after a local mountain of such a shape. Another theory suggests that the characters were transcription of a Ketagalan place name. A systematic city development started during the Japanese Era, after the 8 May 1895 Treaty of Shimonoseki, which handed all Taiwan over to Japan, in force. 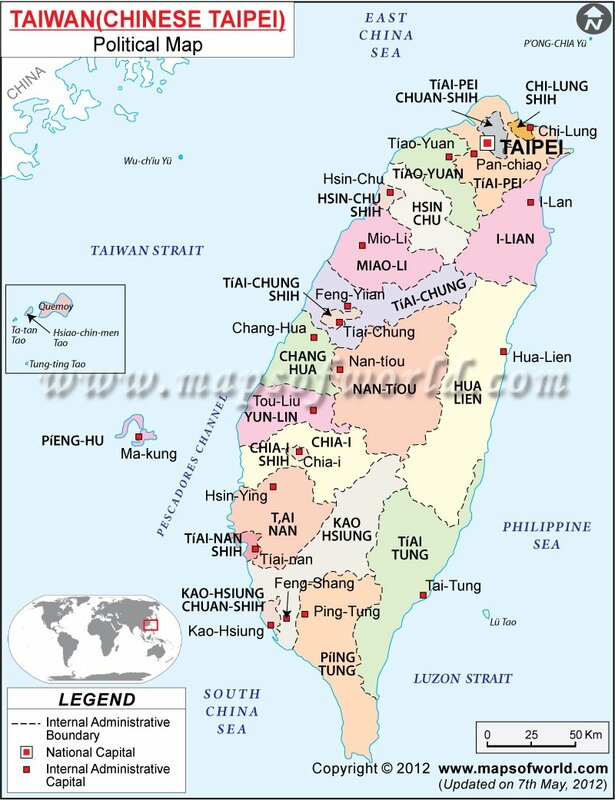 Keelung Taiwan became a town in Keelung District, Taipei Prefecture in 1920 and was upgraded to a city of Taipei Prefecture in 1924. Coal mining peaked in 1968. Keelung Taiwan is an Industrial port (shipbuilding, chemicals, fertilizer) on the north coast of Taiwan, 24 km/15 mi northeast of Taipei; population (1993) 363,000. The rock terrain that makes up most of Keelung Peace Island imparts a unique topography to the island. The acknowledgment of such uniqueness has come in the form of the island being declared a national park. Keelung Peace Island stands at the opening of Keelung Harbor which, in spite of its tiny size, is the second largest harbor in Taiwan. The strategic location of Keelung Harbor- for trading as well as military purposes- explains the reason for numerous feuds over it between the warring countries in the past.